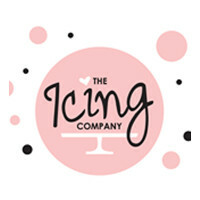 Icing is a fashion chain store that is now owned by Claire’s, which is under Apollo Global Management. It was bought in 1996 and is now Claire’s main brand for fashion apparel and accessories for young women age 18 to 35 years old. There is little information about the company’s origins. The brand was supposed to be replaced completely as Claire’s Accessories, but that was only applied to new stores. The old ones retained the name Icing, but designs were refurbished and updated. When it was acquired, the company had at least 85 locations in operation. Now, it has more than 350 stores across the U.S. and Puerto Rico, with a few stores overseas. The company is reported to have only less than 50 employees. But it is more than that if you include all store personnel. The most attractive benefit that this company provides is its 50% discount. However, the discount does not apply to precious metals and other expensive items and accessories. The company also provides basic healthcare insurance and paid leaves. Two of the primary things that employees love about the company are the discount and the easy work. Aside from that, the work environment and friendly coworkers are always mentioned. Even though some have said negative things about management, it is mostly overpowered by positive comments. How Old Do You Have to Be to Work at Icing? You need to be at least 16 years old to become an employee or associate in the company. The work is mainly based in mall locations. As an employee, you will work as both an associate and a brand ambassador. Also, if you are below 18 years of age, you will be limited to store roles. The entry-level positions in this company are limited to associates. However, most of the available positions are in middle management and corporate offices. Sales Associate: As a sales associate, you are responsible for processing payments and dealing with customers in the store. You also need to address their questions and provide excellent service by giving recommendations. Assistant Store Manager: You will receive daily tasks and priorities from the store manager. Your job is comprised of, but is not limited to, auditing store items, helping associates, and also, ear piercing. Store Manager: You will be tasked to ensure that the store is operating smoothly. You will also handle the following: coaching, managing, training, and recruiting employees. And even with your position, you still need to be capable of ear piercing. Customer Service Associate: You will focus on assisting and guiding customers in the shop. You will be an all-rounder; expect that your coworkers will look to you for help from time to time. Retail Business Analyst: Your role is to ensure that the stores are reaching their target sales. You will also be tasked to develop and plan a sustainable growth model for both the stores and their employees. Corporate Paralegal: As a corporate paralegal, you will be mainly working with memorandas, correspondence, claims, and other legal documents. You are there to prepare, proofread, and review legal documents. Buyer: A buyer’s role in a company is to research about products. You will determine the items that the stores will be able to sell. You will then be tasked with buying or procuring those products in large quantities. Assistant Buyer: Your role is to support the buyer and buying department. You will often be working on researching prices, competitors, and promotional strategies. Digital Marketing Manager: Your job is to plan marketing campaigns on the Web. This also includes social media management, display advertising, and even search engine optimization or SEO. Project Manager: You will be mostly working with upper and middle management. Your job is to make sure that operations in different stores are creating revenue and hitting target goals. To get a job in the company, you will need to apply through Claire’s careers portal. You can choose from the three categories in the site. Once you click one of the three, you will be transferred to Brass Ring, an applicant tracking system. You can apply online or drop by the store. Online applications may take one to four weeks before they can be processed. Once your application has been screened, you will be invited for an interview in your potential job location. The application form is a basic information sheet about you. Just fill up the necessary details, and then submit it. Expect that it will be screened within the time frame mentioned before. There is nothing much expected in your resume if you are going to apply for a store position. Things will change though if you plan to apply for a managerial position. Experience in retail and people management are key details that you should emphasize in your resume. One of the most important things about the interview process in this company is your appearance. Make sure that you wear your best clothes and accessories that accentuate your getup. Your fashion sense is crucial in landing you the job. The culture in the company is hugely affected and influenced by Claire’s. Given that, vanity and appearance are things that you must embrace in order for you to fit in and work harmoniously with your coworkers and managers. The biggest news about this company so far was Claire’s declaration of bankruptcy. Despite that, it promised to keep its stores open as long as possible. The company cited that its biggest competitors are online shops, which they will promptly integrate in the company to recover from the filing. The company is known for its fashion items and most especially its ear-piercing services. Aside from that, it has also started dabbling in home décor and bridal items. In addition, it has been struggling to support women-related movements, particularly breast cancer awareness. However, despite their efforts, they only received backlash from the media and public, probably because they attempted to “glamorize” the issue. 1 How Old Do You Have to Be to Work at Icing?